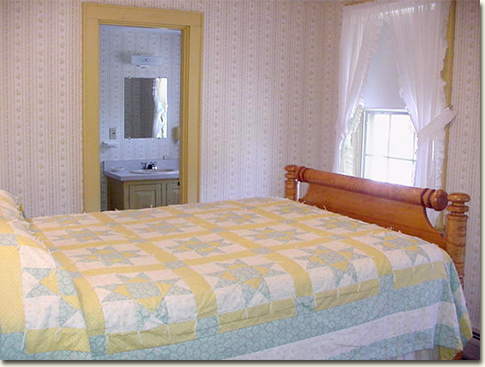 The double bed in this room was made in the early 1800's by Fred's great great Uncle Charlie. He turned the birdseye maple on a water driven lathe at his shop in Maine to make the "rolling pin" head and foot boards. 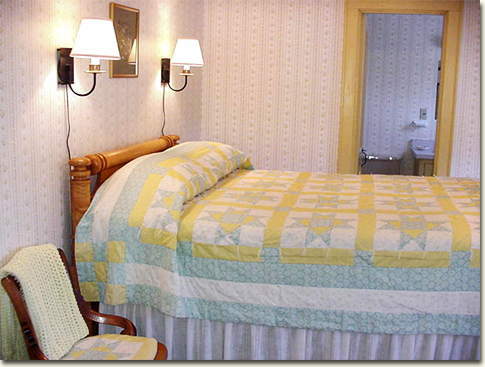 It's a high bed, so there is an antique step table to help you get into bed. The quilt is the Ohio Star pattern made by Suzy in memory of her grandfather who grew up in Ohio.